ON THE GO OC - Things to do with your family. 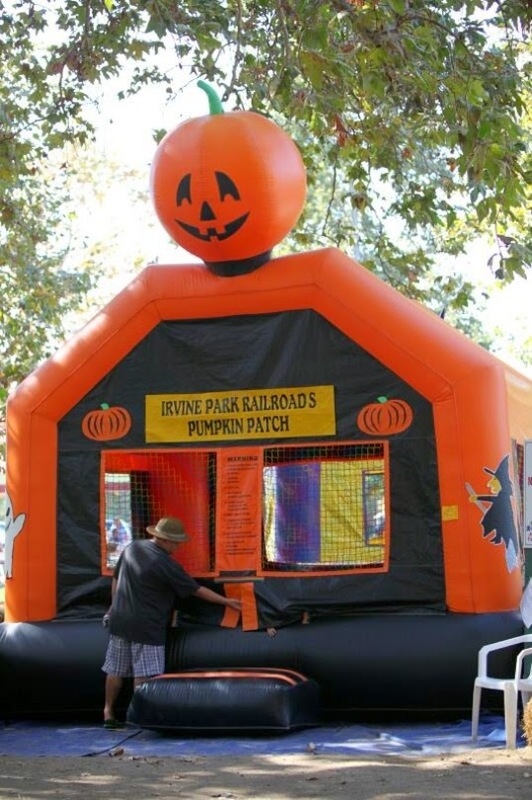 : **GIVEAWAY** IRVINE PARK RR - PUMPKIN PATCH FUN ! **GIVEAWAY** IRVINE PARK RR - PUMPKIN PATCH FUN ! I love this time of year ! FALL is FUN ! 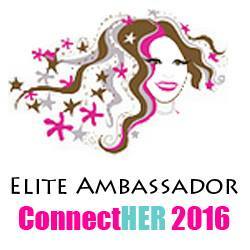 For our 3 month Blogiversary (why not right ?) we are celebrating with a giveaway to Irvine Park ! The Irvine Park annual Pumpkin Patch opens THIS Saturday, September 20th and will be open DAILY through Friday, October 31st - This is their 9th year doing this awesome event ! If you have never been - I have to say that there is so much to do and the park itself looks so beautiful it's easily a day well spent . * The Pumpkin Patch is located in Locomotive Loop and Miner&#039;s Meadow just behind the train station. Thousands of pumpkins, in all shapes and sizes, fill the areas behind the train station. All visitors are sure to find the perfect pumpkin! * This year’s Pumpkin Patch activities include: Train rides, hay rides, panning for gold, a child-friendly haunted house, a hay maze, a moon bounce, carnival games, cookie decorating, John Deere tractor racers, face painting, picture stands, great food, and a lot more! * Admission into the Pumpkin Patch is free. Prices for all other activities vary; please visit HERE for additional information and costs. * Please note - The parking fee for Irvine Regional Park is $3.00 per vehicle on weekdays and $5.00 per vehicle on weekends. Important parking information: As Halloween nears, we encourage visitors to plan to arrive early to help avoid crowds, particularly on the weekend. A few of our family favorites that we must do every year at the Pumpkin Patch are the hay maze and train rides.. both are something that my 2.5yo and 7yo love to do so it is fun for all 4 of us not just the kids ! We love Irvine Park ! We often visit - every season is beautiful ! There are activities to do and it doesn't stop here with the Fall Fun.. the year round awesomeness offers so much to do .. here are a few more things to check out at Irvine Park throughout the year ..
**Wheel Fun Rentals® at Irvine Park — fun and unique bike rentals that can be enjoyed by single riders or an entire family — paddle boat rentals, the Orange County Zoo and pony rides. Bike and paddle boat rentals are open daily at 10:00 am. 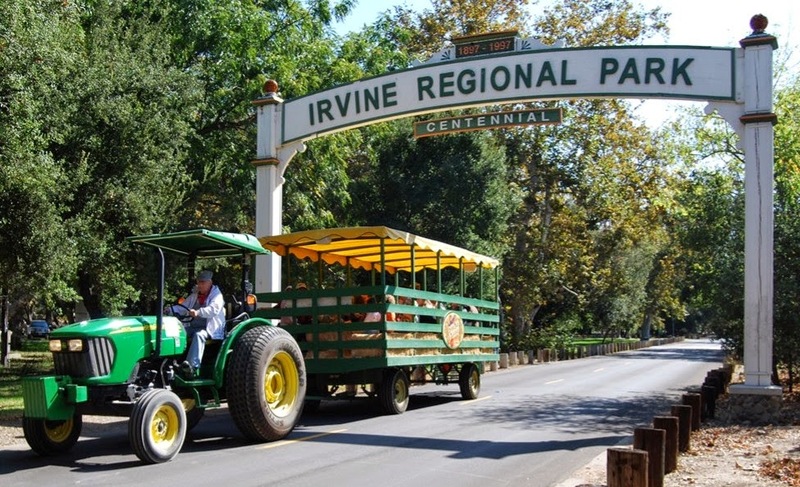 **Irvine Park Railroad’s annual events include the Anniversary Celebration, Easter Eggstravaganza, Pumpkin Patch, Christmas Tree Ranch, and Christmas Train. **Become a fan of Irvine Park Railroad on Facebook, view our photos on Instagram, follow our tweets on twitter, and view pictures on Flickr. 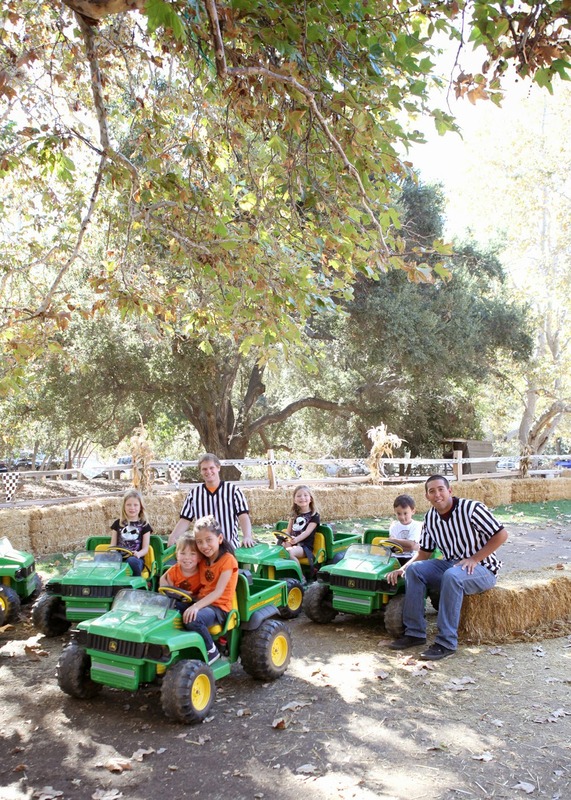 You can visit their photo gallery to view pictures of last year’s Pumpkin Patch. Visit HERE for full details including hours of operation and costs. Good Luck to ALL who enter the GIVEAWAY and Get OnTheGoOC ! Huge thanks to Irvine Park RR and staff !